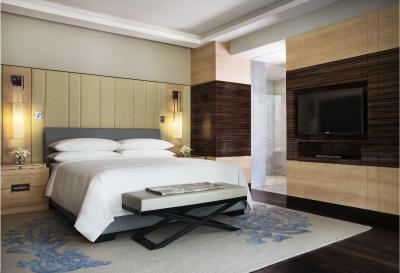 Lock in a great price for JW Marriott Hotel New Delhi Aerocity – rated 8.9 by recent guests! 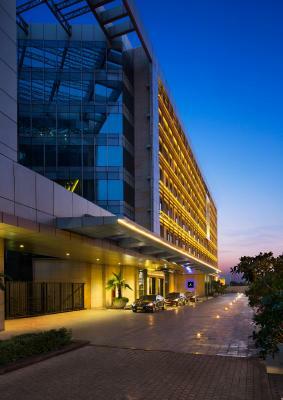 Liked staying near Delhi airport in a 5 star, very comfortable hotel. Loved room service menu, the restaurants, staff and room was large and quiet. Bed was great! Beautiful property near the airport. The rooms and food were amazing. The staff were excellent. They have so much staff! there must be 2 staff members to every guest. After several weeks in India, the Marriott was a lovely and welcome "western" respite from all of the excitement and chaos of India and Delhi. Very clean and service is amazing! Beds are super soft and food is very well prepared. The entire hotel is really clean. 1. Friendliness and helpfulness of all of the staff without exception 2. Luxury airport transfers 3. Room was spacious, well-appointed and comfortable 4. Excellent breakfast choices and quality. This is a beautiful property and very modern. LOVED the bakery cafe on the ground floor. It was an amazing Hotel, Staff was excellent, food was excellent, rooms and inside the hotel is all clean. Room was large. their amenities are very good. There is hair dresser in the hotel but need to book before and bit expensive. Amazing breakfast, airport is 10-15 min far. The spa was amazing! A massage before a long flight home was perfect! Great place to go if you have an early morning flight and want to stay near the airport. Hotel is beautiful. The manager was amazing. He went out of his way to get me hot water, lemon, honey & ginger water when I was feeling ill.
An excellent airport hotel. The check in was fast and efficient. The room had comfortable beds and a the bathroom had a powerful shower, comfortable bath and well stocked toiletries. The breakfast buffet was extensive and well staffed. 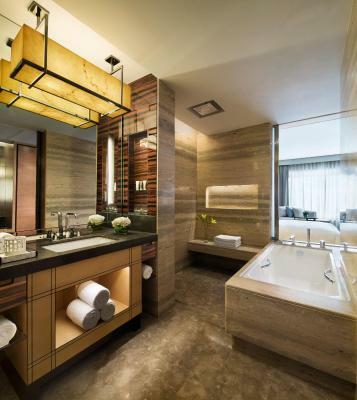 JW Marriott Hotel New Delhi Aerocity This rating is a reflection of how the property compares to the industry standard when it comes to price, facilities and services available. It's based on a self-evaluation by the property. Use this rating to help choose your stay! The well-appointed air-conditioned rooms here will provide you with a flat-screen satellite TV, seating area and a mini-bar. There is also an electric kettle and an attached bathroom. 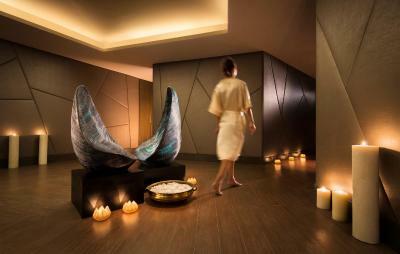 At JW Marriott Hotel New Delhi Aerocity you will find a fitness center and 24-hour front desk. 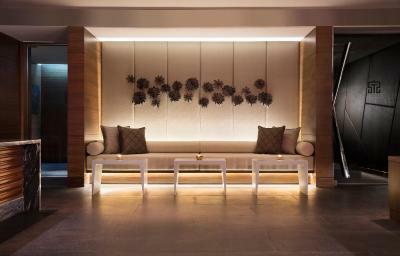 It features of 24,000 square feet of flexible event and meeting room space. The Aerocity metro station is barely 650 feet from the property. The New Delhi Railway Station is 11 mi and Hazrat Nizamuddin Railway Station is 14 mi. Dining options include Akira Back that serves Japanese cuisine with a Korean essence while a variety of cakes, bread and pastries can be relished at Delhi Baking Company, the Bakery Shop. Guests can enjoy multi-cuisine delights at the all-day-dining restaurant K3 while alcoholic and nonalcoholic beverages are served at Oval Bar and JW Lounge. 24-hour room service is available. 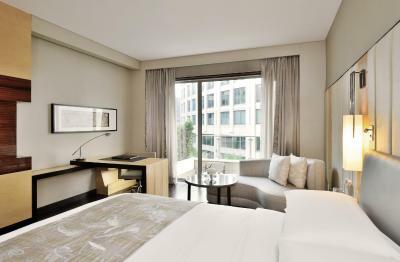 When would you like to stay at JW Marriott Hotel New Delhi Aerocity? 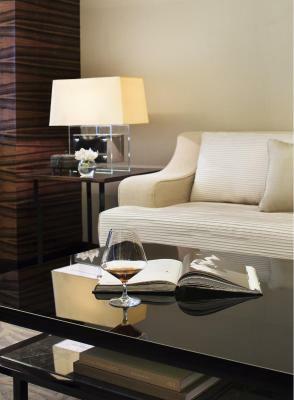 The air-conditioned rooms here will provide you with a flat-screen satellite TV, seating area and a mini-bar. There is also an electric kettle and an attached bathroom. 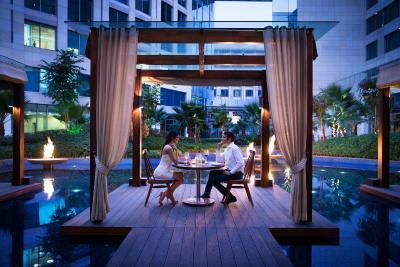 House Rules JW Marriott Hotel New Delhi Aerocity takes special requests – add in the next step! Any additional older children or adults are charged INR 2180 per night for extra beds. 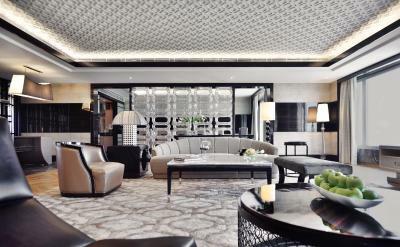 JW Marriott Hotel New Delhi Aerocity accepts these cards and reserves the right to temporarily hold an amount prior to arrival. Think you should apply a dress code for the K3 restaurant- ie smart casual as opposed to casual that way hotel occupants would not appear at dinner straight from the gym or in shorts . Loved the room - beds super comfy ! This is an airport hotel yet they have no shuttles to the airport and charge to be taken to the airport which involves their car and driver-and generally unhelpful in letting you know your options. If you are an airport hotel you should as a minimum have a complimentary drop off service. Hotel massive and staff did not respond to my inquiries for a long time. I had to double check my reservation and breakfast and ride to and from airport several times. There was no personalized service. Hotel lost my reservation for one room by listing it under my husband's first name as part of last name. The close proximity to airport for early morning flight. The modern look of hotel. Hotel Driver was very nice. very good breakfast with wide varieties. staff guided me to my table and fulfilled my needs. We chose to upgrade to a luxury suite. Bathroom needed maintenance. In room decor needs an upgrade. The food is nice but very over priced , avocado on toast costing £13.00 is the most expensive avocado I have ever had . It would be great if hotel can arrange free shuttle bus from Indira Gandhi Airport to Hotel at Aerocity. The experience of getting a taxi at Airport is unpleasant. We would like to thank Ms Sukanya and Mr Akday at the front desk for our request for late check-out. So that we can have more time staying in the hotel and enjoying the facilities. Service is amazing. Everyone was so helpful! Great food at the K3 restaurant too.